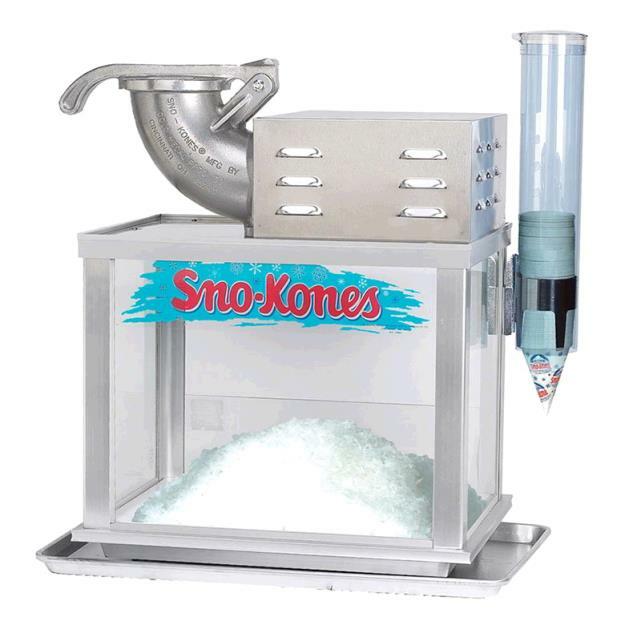 Compact design, easy to use Sno-Cone Ice Shaver machine. Stainless steel frame, plexiglass panels for easy cleanup. Sharp stainless steel blades for years of use. Illuminated dome to create sales. Can shave 300 to 500 lbs of ice per hour. Comes with ice dipper, cup dispenser, drain pan w/hose. 22" wide x 18" high x 16" deep. Syrup and cups are available. * Please call us with any questions about our sno cone machine in Oak Grove MO, Blue Springs MO, Independence MO, Lexington MO, Odessa MO, Independence MO and Western Missouri.